Quail Motorcycle Gathering 2018: Your Customers Went, Where Were You? If you feel the electricity in the air, so do many motorcycle manufacturers. Harley-Davidson unveiled a prototype of its Livewire electric motorcycle at the international EICMA motorcycle show in Milan, Italy. Vespa has announced an electric scooter. Although Polaris has closed down its Victory motorcycle line to concentrate on the Indian brand, the company is indicating that it plans to continue with its electric Victory Empulse and Yamaha announced that it is developing electric motorcycles for both street and dirt applications. Meanwhile, Zero Motorcycles keeps on rolling. The company, now in its 13th year, builds well thought of electric motorcycles at its plant in Scotts Valley, CA. It claims that it has sold as many electric motorcycles as all of its present competitors put together. Currently, there is a Zero dealer in most U.S. states, and the company has been making significant sales to police and other government agencies around the world. One of its competitors, Alta, has recently failed, but Zero seems to be doing well, with a lineup of six models for 2019 that sport significant upgrades over the prior year’s bikes. 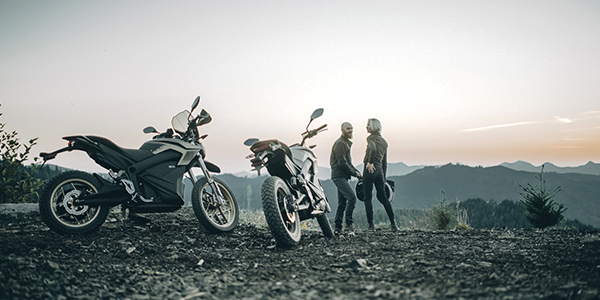 An industry commentator has suggested that the reason Alta failed while Zero is succeeding is that Alta made off-road-only bikes that only appealed to a small demographic, while Zero makes street and dualsport motorcycles that are attractive to a much larger group of people. Quick mentioned that although many different types of customers are interested in Zeros, the two largest segments are enthusiasts and returning riders. Most customers tend to be in or around urban areas. The fact that Zero is built in California near Silicon Valley, the hub of computer-related innovation, is a major plus for many purchasers. Zero would like to sign on more dealers in key market areas, and Quick believes that the learning curve for both sales and tech staff is not that difficult. Quick is not worried about the impending arrival of electric motorcycles from established brands. Zero has historical precedent for its position. In the early 1960s, Japanese motorcycle companies poured millions of dollars into their campaign to make motorcycling acceptable to American society. 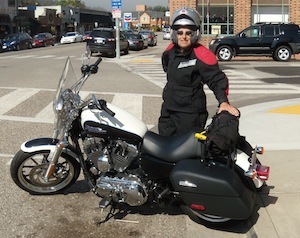 The effort by the Japanese companies to make motorcycling an acceptable sport significantly increased sales of Harley-Davidsons and Triumphs. Zero believes its products will compare well to the electric motorcycles manufactured by larger companies. “Our long-term leadership is going to be as influenced by our products as it is by our work with other brands, two wheels and four, to boost EV incentives at both state and federal levels as well and to encourage increases in EV infrastructure,” Quick added. Today, there are three states and some municipalities that provide purchase credits toward an electric motorcycle. Having been targeted for having high seat heights, Zero has adapted to the criticism by lowering seat heights over the past few years, however, the lowest seat height is still 31.8 inches. The tall seat may deter sales to women, who are otherwise attracted to Zero’s clean power and lack of a clutch. For several years, Zero has offered a seat lowering conversion kit, available at all retailers, which should help with acceptance by shorter customers. Quick is very pleased with the progress Zero has made over the past year and highlighted the company’s objectives over the next five years. “Personally, I’d like to see a Zero in every garage. The time for electric is now. We see it across all indicators within and without our industry. We have very specific benchmarks outlined for how we will measure our success moving forward that we keep close to the chest. We’d obviously love to see a continuation of the growth we’ve seen over the past year. I’d say that would be overly optimistic for an OEM, save for Zero,” Quick added.